We have Mr. B.K.S. Iyengar to thank for bringing us the deeply therapeutic practice of Restorative Yoga. Back in the day prior to the sophisticated yoga props that we are accustomed to, Mr. Iyengar (or as he is affectionately called, “Guruji”) used to gather bricks out of the street and place them under specific areas of the body to create maximum support, thus enhancing the overall experience. He found that holding specific postures such as Supta Baddhakonasana or Viparita Karani supported by props for longer periods not only supported the joints and muscles but lent support to various systems in the body alleviating ailments such as digestive and hormonal in balances, mental fatigue, and respiratory congestion – just to name a few. Over the years Restorative Yoga has become one of my favorite practices. In addition to the physical benefits, I have grown to love and look forward to the pace of the practice, which encourages me to slow down. It has become increasingly more and more obvious to me that we are all in a hurry to live life, moving quickly from one project to the next, barely taking a breath in between. No wonder stress and anxiety is one of the leading causes of so many of the diseases that we face in our modern high tech, fast paced world. When we slow down we can begin to recalibrate the systems of our body – primarily the nervous system. Slowing down when practicing Restorative Yoga stimulates a Parasympathetic response in our nervous system, which takes us out of the fight and flight response and drops us in to a more relaxed state one where we can begin to settle in and digest the nourishing qualities of the practice. Slowing down also builds and enhances the connection to our breath as a result we can begin to release unnecessary stress and tension. Restorative Yoga further teaches us the art of practicing patience towards our individual limitations – which is a characteristic that is severally underrated these days. In those moments when you find yourself caught up in a cycle of running around feeling amped up, consider dropping into a Restorative Yoga practice. Who knows it may become one of your favorite practices too! 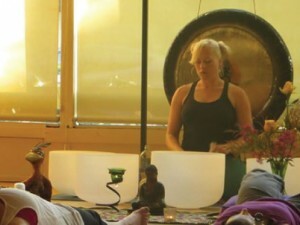 Alex will teach a Restorative Yoga practice with Gong Bath accompaniment by Danielle White at 8 Limbs West Seattle. Early bird discount through Monday, February 17. Interested in a series? 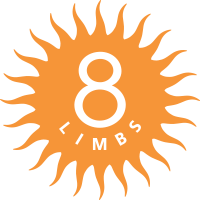 Join Dawn for her Restorative Yoga Series at 8 Limbs Wedgwood Mondays at 7:15 March 3-April 7.